A very fresh, crunchy and easy to drink syrah from high altitude vineyards. Be the first to review this wine! Your wine review was successfully added! Varietal(s) Syrah (85%), Carignan (15%). Farmhouse pate, black pudding with apple, grilled steak. Granite and Schist between 350m and 600m high. Biodynamic farming. Single spur (guyot) and bush vines (gobelet) pruning. Ploughing. Leaf Thinning. Hand harvest. Whole bunch maceration for 1-2 weeks. Fermented with indigenous yeasts and aged in tank (70%), demi-muids (22%) and wooden vat (8%) for 9 months. No fining and light filtration. 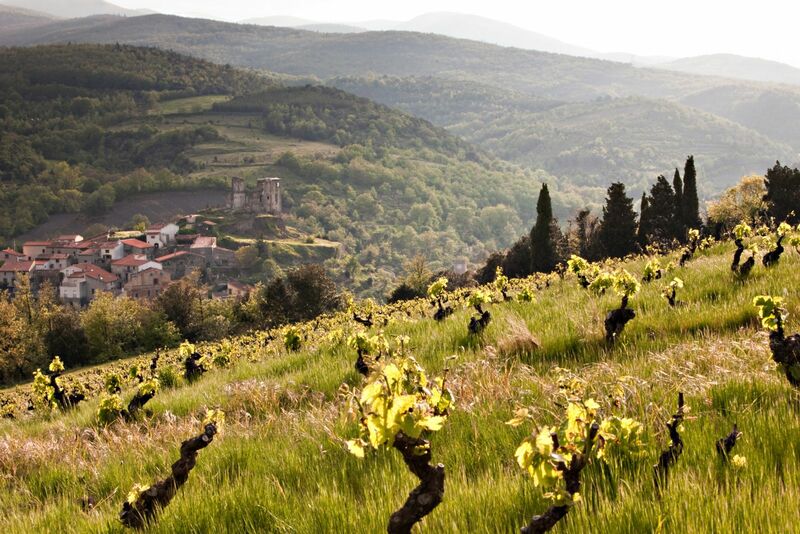 In 2001 Gérard Gauby revealed that he had discovered some vines high up in the Agly valley (he had, in fact, discovered some abandoned vines in the Fenouillèdes). He told Roy Richards and Mark Walford of his discovery, which presented an opportunity for them to go into partnership. After some thought, Roy and Mark decided to commit to the venture, the reputation of Soula started to be established in 2001. The Fenouillèdes is an ancient route to Spain, situated between Catalonia and the Languedoc. The region reaches 1300 metres altitude. As you approach the plain the climate is Mediterranean (gentle and humid winter, hot and dry summer) and as you approach the Pyrenees it becomes cooler, typical of a mountainous terrain. Since its start in 2001, Le Soula has worked all its vineyards without the use of pesticides or chemical fertilizers. The vineyards are farmed biodynamically. Because of poor soils and strict pruning the yields are very low. The vinification is made with indigenous yeasts while the ageing takes place in old foudres and barrels. Only very low level of sulfur is added. The altitude of the vineyards and the big temperature change between hot aysand cold nights enable Gerald to produce wines with complex fruits and excellent freshness. All wines from Le Soula are complex, fresh and delicate.